COLUMBIA – A.I.D. 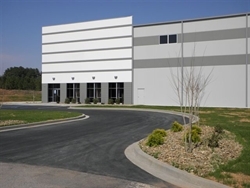 Company, a business of RBC Bearings Inc. and a maker of aerospace components, on Thursday announced plans to locate its new facilities in Oconee County. The $7 million investment is expected to generate 75 new jobs over the next five years. “We are excited about growing A.I.D. Company and pleased to locate our operations in Oconee County. South Carolina has created an excellent business environment and a skilled workforce that will help us succeed. We appreciate all the support we’ve received from state and local officials,” said Dr. Michael Hartnett, president and CEO of RBC Bearings Inc.
A.I.D. Company manufactures control rods used in both fixed-wing and rotary aircraft. The company will relocate to the new facilities at 123 Commerce Way in Westminster, S.C., which will expand its manufacturing space from 35,000 square feet to 63,000 square feet. The company plans to begin operations in the new facility in the first quarter of 2013. “Today’s announcement is another win for one of our state’s rural counties. We celebrate A.I.D. Company’s decision to locate in Oconee County with a $7 million investment and the creation of 75 new jobs. We remain committed to strengthening our state’s business climate and brining job-creating investments to all areas of South Carolina,” said Gov. Nikki Haley. Since January 2011, South Carolina has recruited more than $6.8 billion in capital investment and more than 16,000 jobs in the manufacturing sector. Since 2006, more than $1.2 billion in capital investment and more than 8,000 jobs in the aerospace sector have been recruited to South Carolina. “Manufacturing continues to be a strong sector in South Carolina’s economy, and the aviation and aerospace industry is an increasingly important part of manufacturing here. Today’s announcement by A.I.D. Company location builds on the Palmetto State’s reputation in the aerospace club,” said Secretary of Commerce Bobby Hitt. The company will begin hiring for the new positions in October and will work with readySC on employment screening. The Coordinating Council for Economic Development approved job development credits, which will be available when hiring targets are met. A.I.D. Company is a business of RBC Bearings Inc. For more information about the company, please visit www.rbcbearings.com. As South Carolina’s leading economic development agency, the Department of Commerce works to recruit new businesses and help existing businesses grow. Commerce won the Gold Shovel Award and the Project of Year Award from Area Development magazine in 2012. Commerce has been part of recruiting world-class companies to South Carolina such as Boeing, Bridgestone, Continental, Monster.com, Heinz, ZF Group, BMW and Google Inc. Commerce also supports small and existing business, rural development initiatives and offers grants for community development. For more information, visit www.SCcommerce.com.